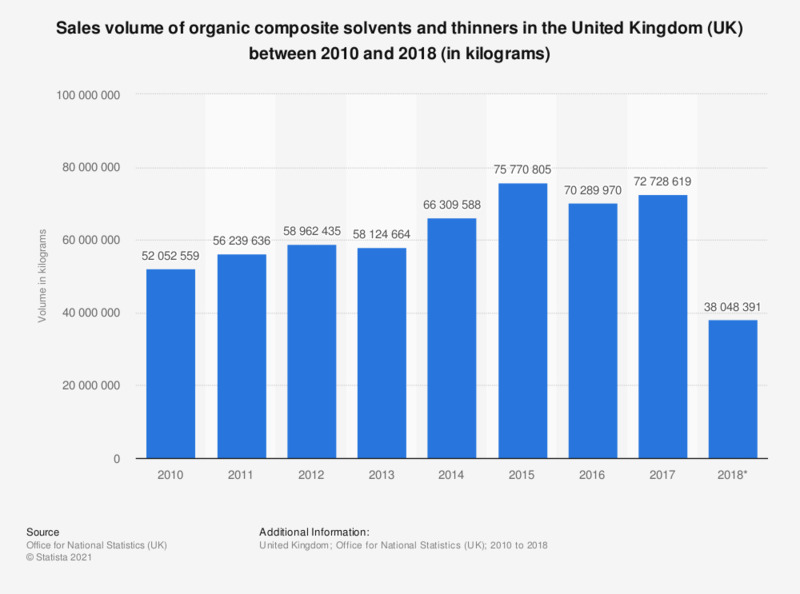 This statistic shows the sales volume of organic composite solvents and thinners based on PRODCOM estimates** in the United Kingdom between 2010 and 2017. The UK experienced an increase in the sales volume of these organic composite solvents over this period of time, rising from 52 million kilograms in 2010 to a volume of 72.7 million kilograms in 2017. Organic composite solvents and thinners used in conjunction with coatings and inks, excluding those based on butyl acetate.